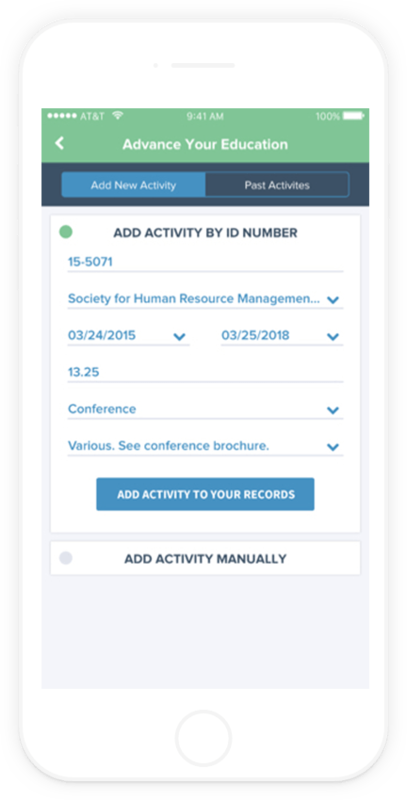 The Society for Human Resource Management (SHRM) wanted to create an application that allows their certificants to track their recertification and add professional development credits to their recertification transcript. 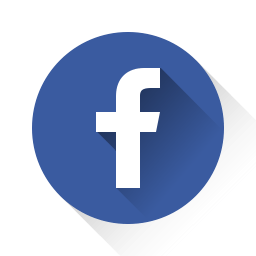 They had experience with using off-the-shelf app platforms in the past but realized the value in having a custom app that matched their look and feel while also tightly integrating with their CRM. 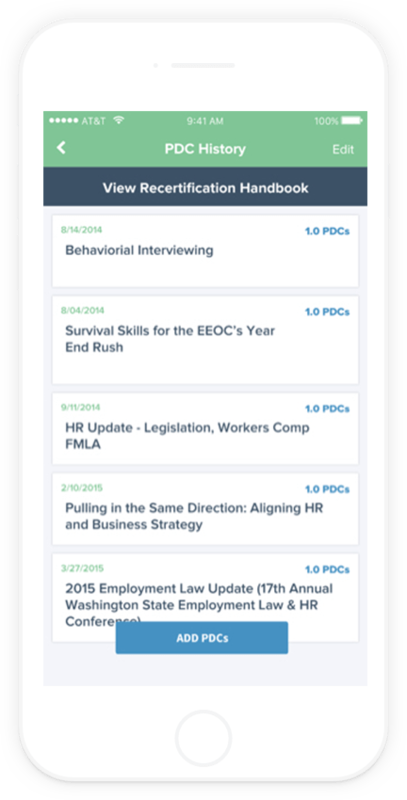 Work started with ensuring the SHRM Certification brand standards were properly represented in the app. 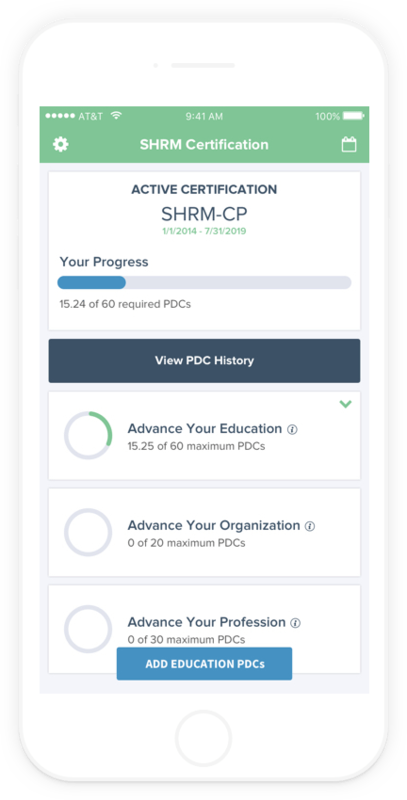 The SHRM Certification team worked across the organization to include various perspectives on the visual design, user experience, and overall app functionality. 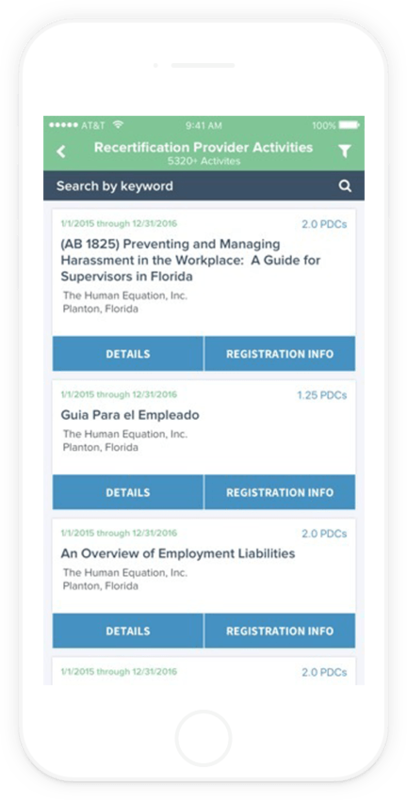 After a successful iOS launch of a Universal app that worked on iPhone and the iPad, SHRM produced the same on the Android platform. Large organizations don’t scare us at Bluestone Apps. 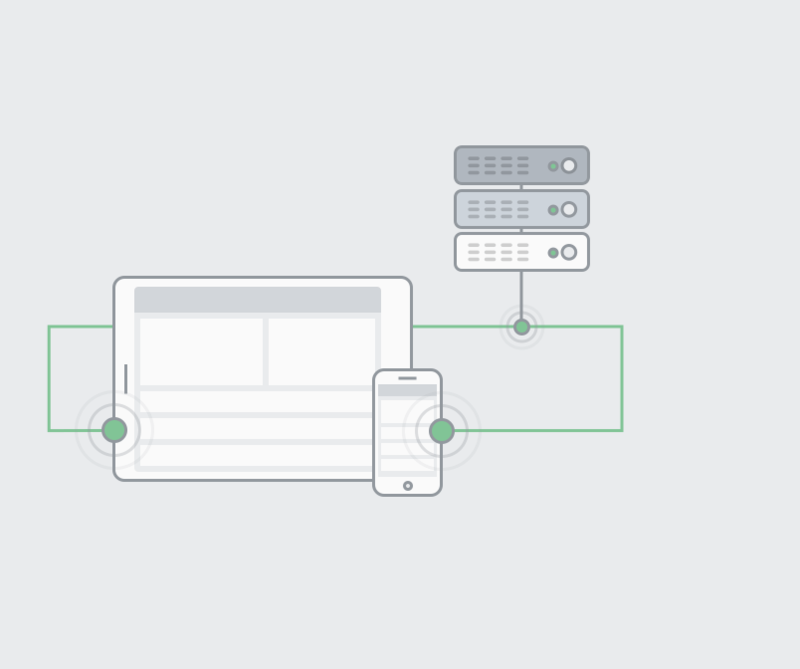 We have the ability to produce apps such as the example shown here. Our extensive, proven process allows all stakeholders to be properly represented while also ensuring progress doesn’t suffer. Bluestone’s involvement provides overflow capacity for busy internal teams, brings expertise that may not be available in-house, and generally allows bigger entities to move much more quickly. 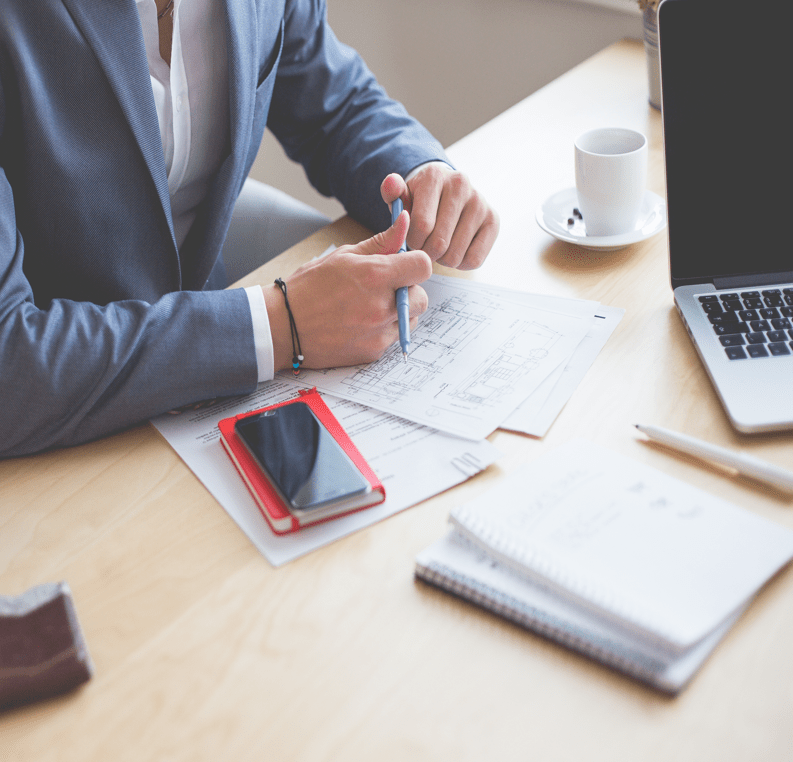 Large organizations like SHRM, we often work with platforms provided by Salesforce, Microsoft, and similar enterprise-grade systems. In the case of SHRM, the backend is powered by Microsoft Dynamics CRM. They used the needed API endpoints and provided a number of security recommendations, followed by integration into the app. Navigating existing brand standards can always be a little tricky. 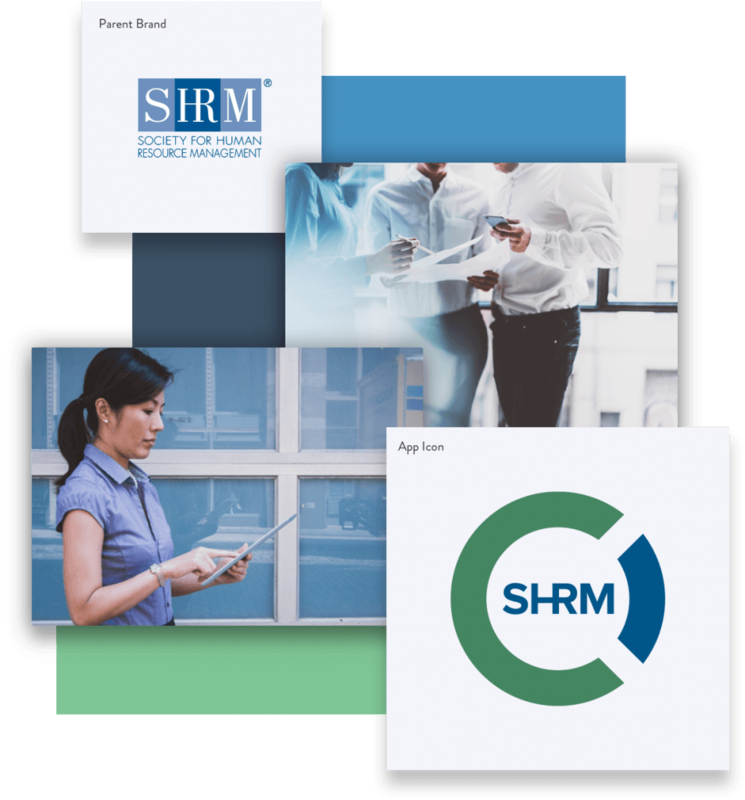 In the case of SHRM, there was an additional consideration: the SHRM Certification group has some of its own identity within the larger organization. We presented multiple style boards showing different directions based on these existing standards. 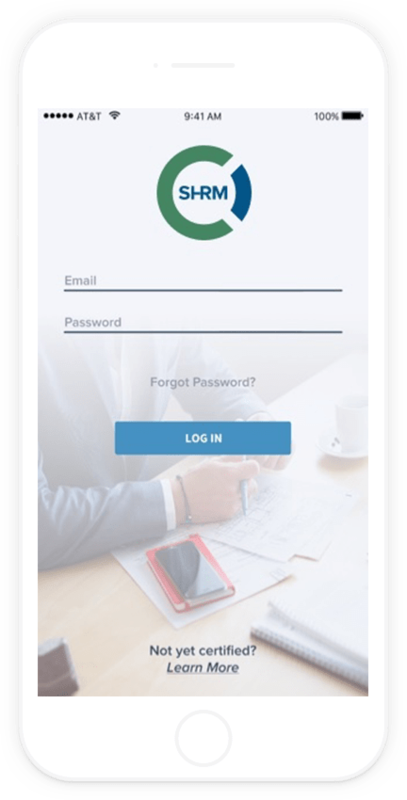 The final outcome was extremely well received and further solidified the SHRM Certification brand beyond the app itself.